I have many fond memories of that church, although I was never a member. During the 1990's, both of my children attended the half-day pre-school there. Under the direction of "Miss Judy," TAPC fielded several levels of pre-school class, from age 3-K. Some teachers went by names such as "Miss Vickie," "Miss Lori" and "Miss Ann" -- while others went by last names: "Miss Poe" and "Miss Pence." Miss Pence was particularly amazing. She taught the half-day Kindergarten in a very precise manner, using the wonderfully useful and positive "Superfriends" series of books first published in the 1970's. (This was in the mid-1990's, mind you -- I don't know how she managed to keep getting copies.) These books, illustrated in fully 1970's pseudo-hippy pop style, was about a group of kids who spent all of their time hanging out in an old abandoned bus. Under Ms. Pence's patient -- but sometimes oddly stilted -- tutelage, EVERY kid in that class learned to read fluently well before entering First Grade. My own daughter was reading chapter books by the summertime. Ms. Pence -- who retired a few years ago -- was a truly wonderful teacher. When the school wound down each day around 12:30, the kids would play on the playground while the parents chatted, forged friendships, arranged playdates and tried to pick up parenting tips from each other. I attended services there, was married there and baptized my children there even though we live in a distant state. Dr. William Bennett was pastor there and had an extraordinary collection of illustrated manuscripts. I attended TAPC for several years. It was (and is) a very friendly Church. Bill Bennett was a remarkable minister. The Church programs were a bond for all of us. Trinity Avenue Presbyterian had its origins in the Pearl Cotton Mill, which opened its doors in 1892. In 1894, the Rev. L.B. Turnbull, Minister of First Presbyterian Church was instrumental in opening a mission at the mill. The congregation met in a cottage on Washington St., but sometime prior to 1898 built a frame church on the southeast corner of North Duke St. and West Trinity Ave., on mill property. The church and congregation were referred to as the Pearl Mill Chapel; between 1902 and 1903, the name of the church was changed to the Second Presbyterian Church, although it appears that the building may have still been referred to as the Pearl Mill Chapel. "It was fifteen minutes after twelve noon on June 29, 1914, when the called meeting of the Directors of Pearl Cotton Mill came to order in the office of the Erwin Cotton Mill in West Durham. It was moved that the officials of the Corporation be instructed to deed a parcel of land situated at the northwest corner of the intersection of Duke and Trinity Avenue to the Second Presbyterian Church, for a church site. Another motion was made requesting that the Secretary-Treasurer be instructed to donate to the church the sum of $100.00 towards the expense of moving the building. In 1917 the church was moved to a double lot on the south side of Trinity Avenue." It's unclear to me if the church building was moved from the southeast corner of Trinity and Duke to the northwest corner, then to the southwest corner. The city directories simply say "Trinity cor Duke" throughout this period, so they aren't very helpful. "From 1919 through 1920 the church’s financial situation became so weak and workers so scarce that Presbytery dissolved the Second Presbyterian Church. The work of the church was carried on by means of Sunday School and prayer meetings. 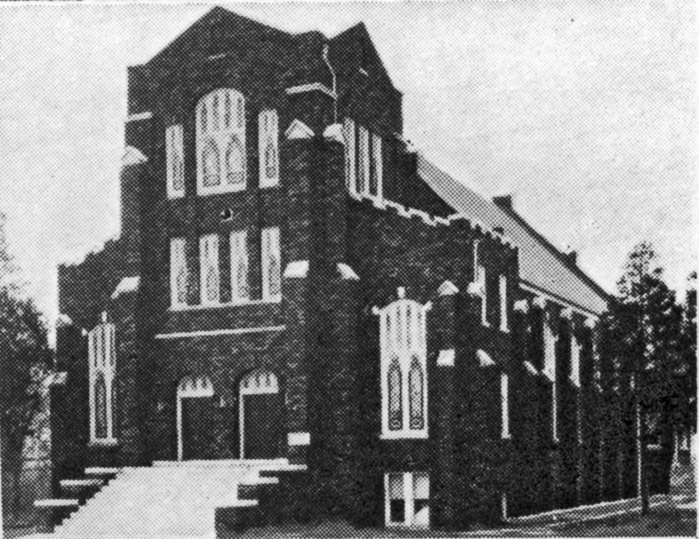 On May 16, 1921 a revival service led 70 people to desire to be united as members and the church was reorganized as Trinity Avenue Presbyterian Church. Mr. George L. Cooper was called as the first full-time minister. Mr. Cooper put an extra effort into a membership drive in 1923. Once again the church’s financial situation had reached a dangerous point. He visited the Big Brother’s Men’s Bible Class at First Presbyterian Church, and as a result of prayer and a passionate plea, a delegation of 38 members, followed the next week by 16 more, moved their membership to Trinity Avenue Presbyterian Church." "On December 10, 1924, the church decided to borrow money for a new sanctuary located on the corner of Trinity and Gregson Streets. 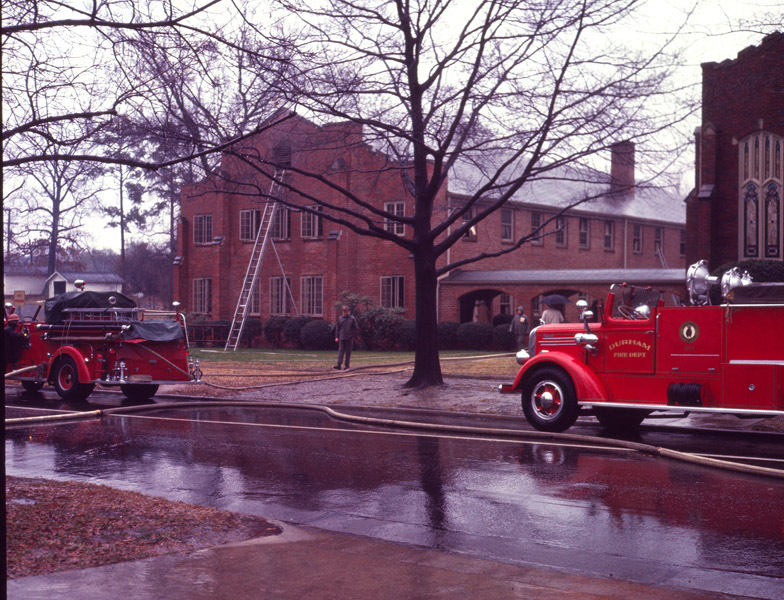 The approximate cost of the new building in 1927 was $77,800." The church remained at Trinity and Duke (whichever corner) until ~1926-27, when the sanctuary designed by local architects Rose and Rose was completed. An education wing was built in the early 1950s, directly to the east of the original sanctuary. 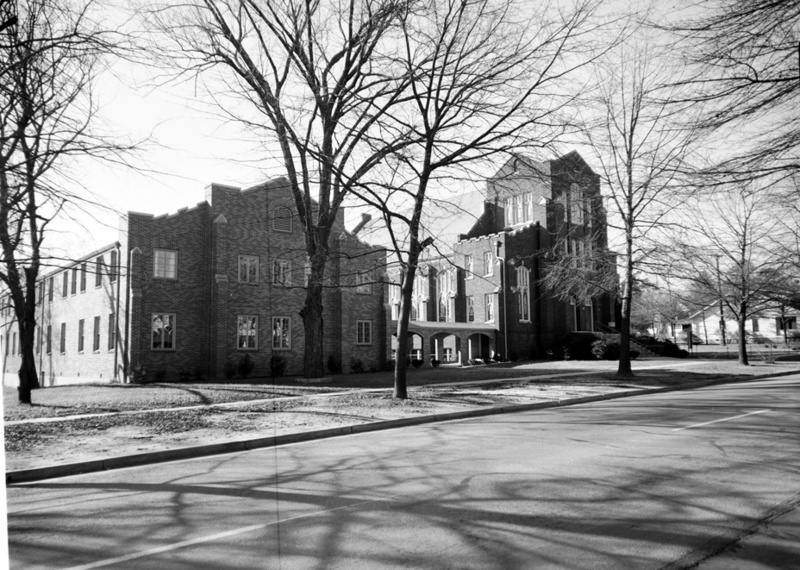 Trinity Ave. Presbyterian, 1950s - education wing is to the left, and the 1926 sanctuary is to the right. 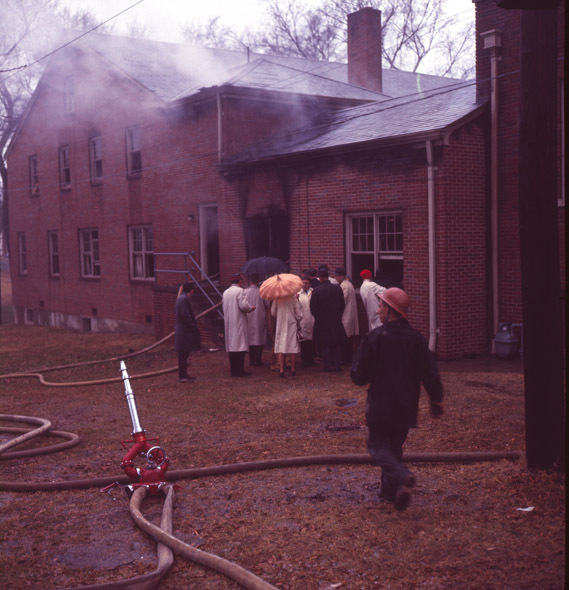 On January 15, 1966, this education wing suffered a significant fire. The wing was reconstructed/repaired immediately thereafter. A second education wing was constructed to the east of the first in 2004.